Tulips. Could there be a better way to celebrate the first day of Spring? 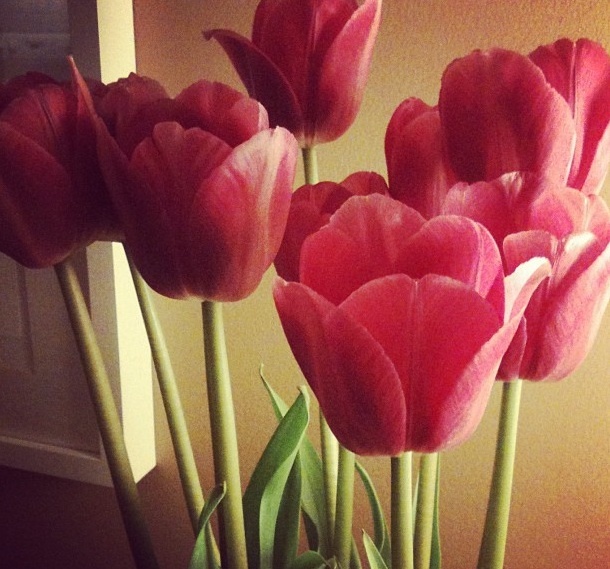 I love having a vase of fresh tulips in our entryway. They’re the last thing I see when leave the apartment and the first thing I see when I come home. They’re such a cheerful and–at $6.99 a bunch–cheap way to brighten up a room. Especially sweet when your Special Someone surpises you with them! Bring it On People’s!